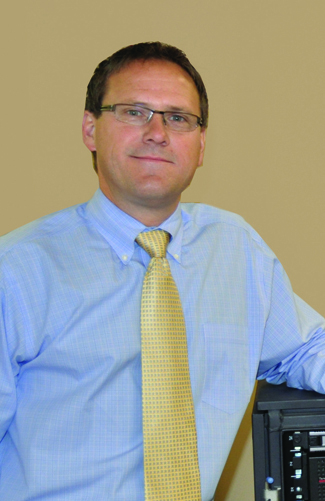 Paul Acton is President of Tri-Technical Systems. While his background has an emphasis in computer software, Paul also has more than 20 years experience in the music retail business. Paul started with Tri-Technical Systems in 1990, and at that time was responsible for the development and support of SoftMusic (currently known as AIMsi). Over the years, Paul has directed the complete re-write of AIMsi on two occasions to coincide with technological advances made in the software development industry to ensure AIMsi's ability to offer state of the art features for their customers. While Paul now has less time for writing code than he would like (a code guru at heart), he is still very involved with the development vision and direction of Tri-Tech's software solutions. Paul occasionally speaks to different music product industry organizations based on his knowledge and experience of software systems and music retail business operations. Paul earned his Bachelor of Science degree in Computer Science with a minor in Mathematics from Clarke University. Paul resides in Dubuque, Iowa with his wife Stephanie and their four children. When he's not working or spending time with his family, Paul is out on the golf course practicing his swing, or at home practicing the guitar.